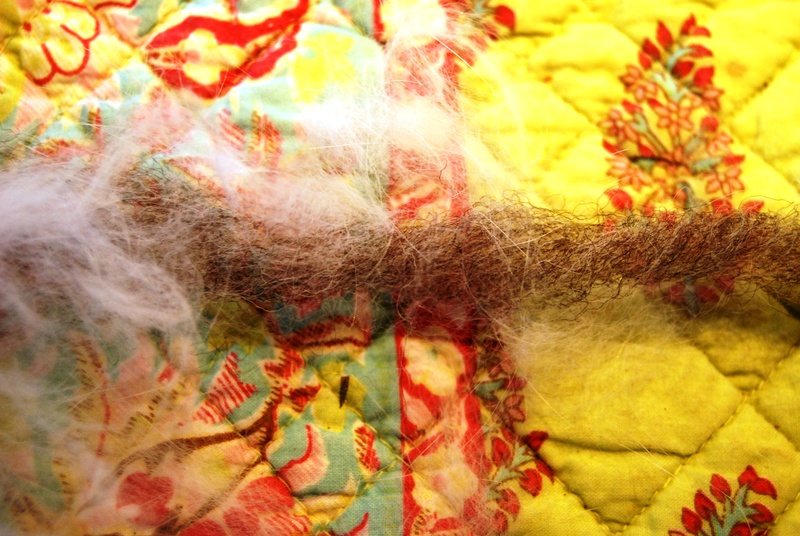 Spinning with pet fur can be done! In this warm weather Mr. Bunners, aka Attila the Bun, is shedding his white fur in big soft billowy clumps. Petting him it felt sort of like cashmere so I decided to collect it and try spinning it into yarn. First I tried just the fur but the fibers are too short to do much. Next I carded it into some existing wool I had and that worked great. 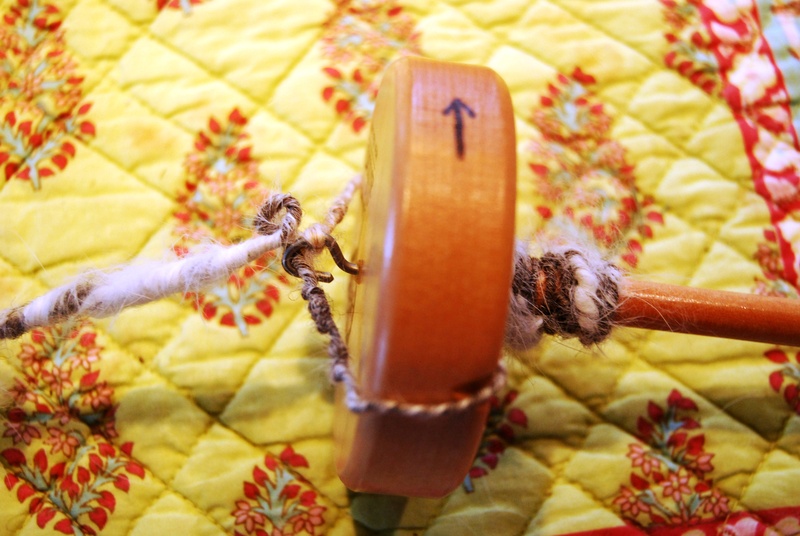 It also worked to lay the fur along the wool as I was spinning. I think this process would work for dog and cat fur too. I’m looking at Angora rabbits with much more interest. Has anyone tried raising them or spinning their fur? 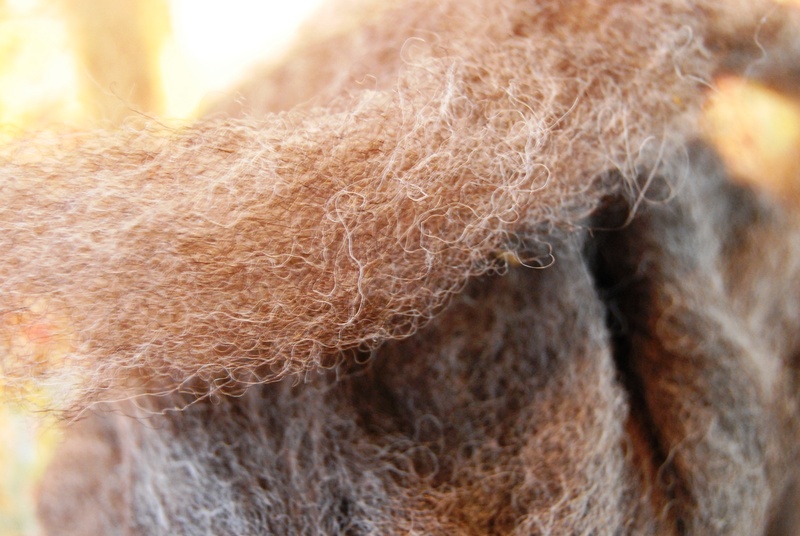 Wool with the bunny fur laid on it. 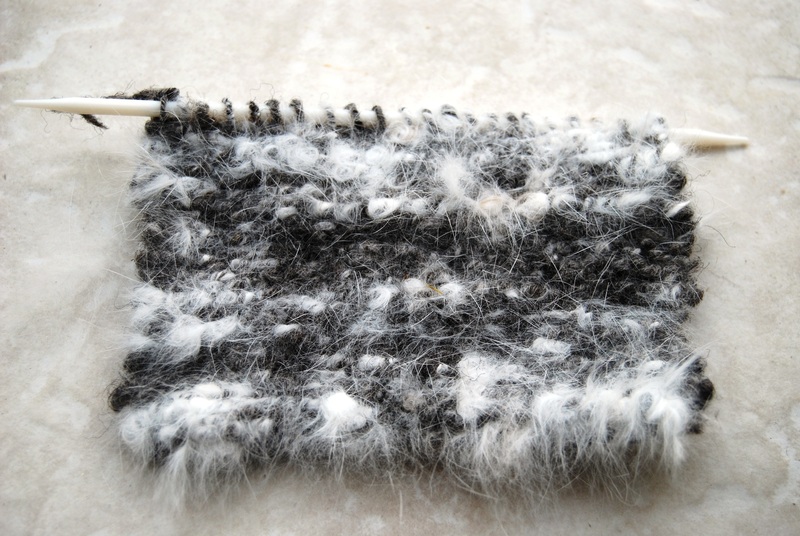 Fur spun with wool using a drop spindle. Here’s what it looks like knit into a small square.